I have been extensively trained in the art of oriental diagnosis and treatment based on ancient wisdom from a Traditional Chinese Master Physician. The school in which I trained is no longer open, however, the Master Physician that I trained under is still educating many in the field of Acupuncture and Oriental Medicine. The Chou School of Acupuncture trained their students with both acupuncture and Chinese herbs in order to get the best results for the patients. Rigorous discipline and experience from serving in the Taiwanese military has also provided a platform for developing mental skills to logically, decisively develop medical treatment plans for my patients. My desire was to bring the ancient wisdom of Chinese medicine to the people of the United States. I pursued that desire by becoming licensed in the state of Florida by the Florida Board of Acupuncture. I am a focused physician with broad clinical experience in multiple pathology in internal medicine. 1978-1981 Chou’s School of Acupuncture, Taipei, Taiwan R.O.C. 1981-1987 Chou’s Acupuncture clinic, Taipei, Taiwan R.O.C. 2017 – Owner of Bo-Shih Ni, C.A., P.A. d/b/a Ni’s Chinese Medical Center, Amelia Island. Opened a satellite office in Amelia Island. 2016- Present, Owner of Bo-Shih Ni, C.A., P.A. d/b/a Ni’s Chinese Medical Center, Jacksonville. Opened a satellite office in Jacksonville Beach with a full herbal pharmacy. 2012- Present, Owner of Bo-Shih Ni, C.A., P.A. d/b/a Ni’s Chinese Medical Center, The Villages, Florida. Opening a satellite office with a full herbal pharmacy in The Villages to bring TCM to an area that has been greatly in need of Dr. Ni’s unique knowledge of TCM. 2009-2017, Owner of Bo-Shih Ni, C.A., P.A. d/b/a Ni’s Chinese Medical Center, Orlando, Florida. 2000-Present, Owner and Proprietor of Bo-Shih Ni, C.A., P.A. d/b/a Ni’s Chinese Medical Center, Melbourne, Florida. Positioned other acupuncture physicians in satellite clinics to focus on the growth of the primary acupuncture clinic in Melbourne. Currently treating more than 100 patients weekly with an extremely high rate of clinical success and offering continued education courses to all Florida Licensed Acupuncturist. 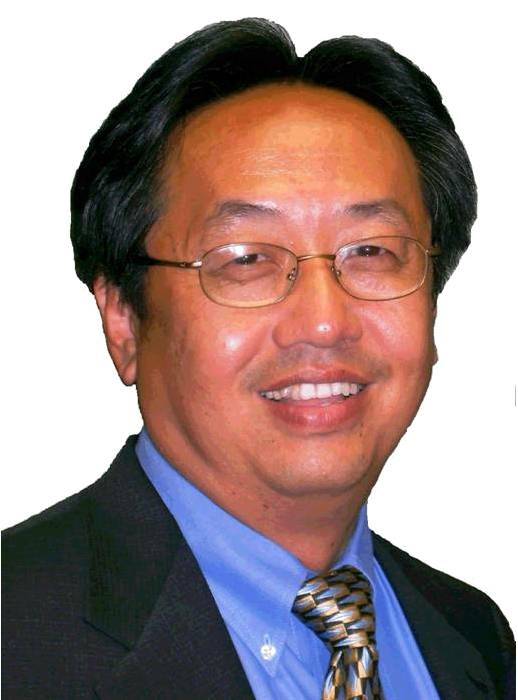 1999-2000 Owner and Chief Acupuncture Physician, Bo-Shih Ni., C.A., P.A., Vero Beach, Melbourne, and Rockledge, Florida. Increased clinical success spurred the opening of additional treatment facilities to meet the demands of surrounding communities for more convenient treatment. Offices were opened in Vero Beach, Melbourne, and in a neurologist’s office in Rockledge. 1995-1998 Academic Dean and Instructor, Han Tang School of Acupuncture and Oriental Medicine, Merritt Island, Florida. Created a School of acupuncture with Hai-Sha Ni to bring the practice of Oriental Medicine to American students. Our high success rate of treating disease in the clinic made the school an instant success. 1991-1995 Licensed Acupuncturist, Ni’s Acupuncture Center in Merritt Island, Florida. Organized and opened an acupuncture practice in Florida. 1981-1987 Chou’s Acupuncture Clinic, Taipei, Taiwan, Republic of China. Treating over 6,000 patients with a wide range of health conditions. Responsibilities included medical treatment of various disease pathology with acupuncture and Chinese herbal medicine. The clinic grew consistently with my contribution and was regarded as the top acupuncture clinic in the area. Greater experience over the years has refined and increased clinical response for my patients. 1978-1981 Chou School of Acupuncture, Taipei, Taiwan, Republic of China. Beth Myers is an Acupuncture physician licensed by the state of Florida and board certified by the National Certification Commissions of Acupuncture and Oriental Medicine. She graduated from the Florida College of Integrative Medicine in 2007 where she earned a Master of Science in Oriental Medicine as well as a Bachelor’s degree in Professional Health Studies. Beth is a Florida native who grew up on the Space Coast and recently moved from Delray Beach. In high school Beth did an 18-week internship with Dr. Ni at his Merritt Island office. In observing and learning Dr. Ni’s methods of treatment, Beth realized what a huge impact he was making on his patient’s lives by improving their heath and well-being. As a result, her interest grew for Chinese Medicine and alternative healing. As soon as Beth finished her Associate’s Degree she was accepted to the Florida College of Integrative Medicine. Since finishing her Master’s degree at 25, she began her career working with established physicians all over Florida. Beth has experience working at an Integrative functional practice where they did extensive blood work, nutraceutical IV’s and bioIdential hormones. Beth’s most recent job was at a fast pace acupuncture clinic in Vero Beach where she ran a community style setting where patients received treatments in a group setting. Treating on average of 20 patients a day including private appointments. Beth is active in her community and you can find her at health fairs and community events teaching people about acupuncture and what it can do for them.